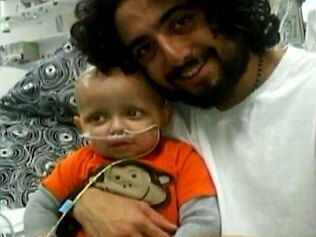 Fox News reports that a father from Montana claims his 3-year-old son, Cash, who has long been battling brain cancer, is alive today due to marijuana oil, which he administered during the boy's nine-month stay in a Salt Lake City hospital, all without doctors' knowledge. “I put him on the oil and he started eating again, his quality of life completely changed, and we were told it was a miracle… that it was just amazing. He was sitting up and laughing again,” said Mike Hyde, Cash's father. Cash, now 3, was released from the hospital at the end of January and doctors believe that his prognosis looks excellent. Two weeks ago, he went for a check-up, and his doctors didn’t even recognize him. Regardless of the possible health benefits of cannabis and the fact that 16 states have legalized medical cannabis to some extent , the Feds are back at it again in their war against this taboo plant. While they have recently stated back in 2009 that they would halt DEA raids of compliant medical marijuana dispensaries, U.S. attorneys have said in their most recent memos that they would consider civil or criminal penalties for those who run large-scale operations — even if they are acceptable under state law. It is about time that the Fed's change the classification of marijuana under the Controlled Substance Act. Last month, as we reported, the National Cancer Institute (NCI), a branch of the federal government’s National Institutes of Health, posted a webpage explaining the possible benefits of marijuana in fighting cancer tumors. Less than two weeks after it went up, the webpage was altered the statement and stricken all reference to the direct antitumoral effects of cannabis. How can the FDA and the U.S. Federal Government continue their stance that that marijuana has no accepted value in the treatment of any disease in the United States? People need to know that the Federal government is lying and hiding information to protect their precious "war on drugs." (as well as protect the profits of Big Tobacco and Big Booze) Please share this information, and as always, feel free to respond with any questions, comments or concerns.